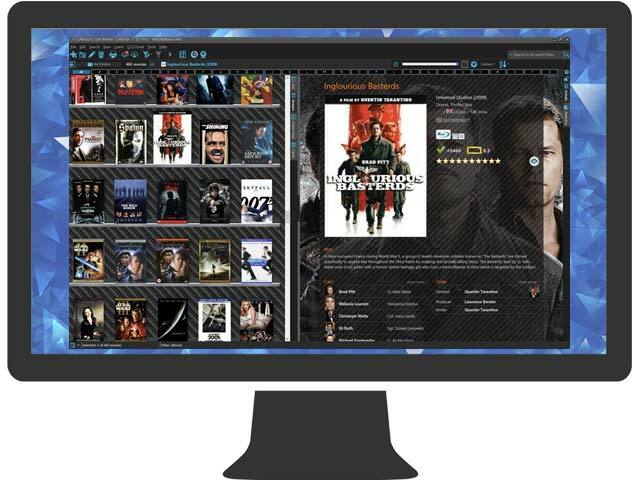 I'm not a huge reviewer of things and stay off of social media sites which is probably due to my age, but Collectorz.com for Movies is such amazing software that I felt compelled to write my first review. My wife and I started collecting movies about 25-30 years ago and almost 10 years ago, I started using Collectorz.com because our collection was getting hard to track. We aren't very PC savvy so it took a while to decide on software to use and Collectorz.com fit the bill exactly. 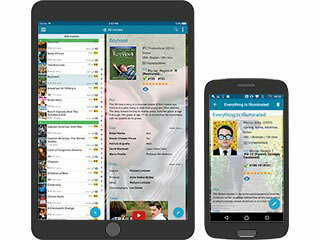 Extremely user friendly and very thoughtfully designed, it has made tracking our collection, which is now approaching 2500 DVD/Blu-ray's, an enjoyable experience. I must say I'm a little behind on adding new movies to the tune of about 500, which is totally on my lazy self & not the software, but I'm actually looking forward to catching up on my inventory. Collectorz.com is absolutely, hands down, the best collector software available and I would recommend this software to everyone!! I have the app and computer software so I can upload it and friends can access it online to see what we have when they want to borrow movies and I can look at my phone when I'm at the store so I don't buy a movie I have. We are military and move a lot, this has been the best way to make sure we have all our movies accounted for. I love it! I was about to do a manual inventory of my DVD's in Excel then it occured to me that there has to be a program out there that does this automatically for me. It is so much fun and easy to document my DVD's. This may sound funny but the moment I clicked on the first movie I was researching I was in love with the program. I will continue to play around with the software to see it's full potential. I currently have 2,700 DVDs I just added to your software and we love it. We've been collecting DVDs since 2000 and haven't stopped. I built my own software to inventory them using a scanner but got too busy to continue development so I was excited to see that you've taken your software to that next step. Did an entire inventory of DVD's (Only 300) in about an hour last night with the scanner. Love it!!!!! I've been using Movie Collector 4 for the last 4 years and I love it (I use it on both my desktop and laptop). From what I've seen, the changes in the new version are excellent. I just bought an IPod a few months ago, I spent last night playing with the program and also found the box set option to be very useful; I have quite a few collection sets yet I list the movies individually so finding them now is much easier. My dvd collection is borderline insane, and I have been carrying a list with me to ensure no duplicates. This makes keeping and maintaining my inventory and keeping track of loans almost effortless giving me more time to watch movies. I myself have been programming since 1985 and was so glad somebody else has gone to all the work putting Movie Collector together. I can appreciate what it involves. I really love Movie Collector! I have over 1300 DVDs and can't imagine how i would manage them without MC. Absolutely the best i've found anywhere.